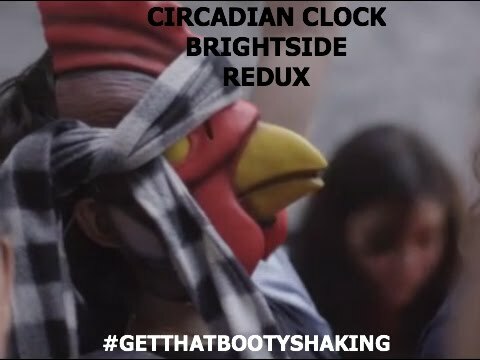 Circadian Clock is a band that’s not afraid to get in your face. Their music is rambunctious and well-crafted. Groovy riffs and intricate rhythms make for a rockin’ song that you can also dance to. You can’t help but tap your toes and sway to the underlying groove, but its danceability is bolstered by the playfully rhythmic vocal delivery (coupled with lyrics that are both engaging and beautiful). The video is more or less a straightforward performance of their song, which I love because it highlights the music above all else, but also because it leaves me with the impression that both the band and the crowd had a blast at the performance. For some added variety, several strange masks and outfits can be seen throughout the audience, which not only adds artistic flair to video, but also makes the close-up shots really pop out. Combining motion with beauty, and art with bemusement, the video’s ultimate success lies in conveying how much fun it must be to see Circadian Clock live in concert. I’m a 63 year old drummer who thinks you guys are really awesome. Good luck on your journey.